Sharing stories behind the world’s most celebrated bridges that can serve as analogies and lessons learned for strong, enduring business relationships. Originally designed to be a suspension bridge and the last of the series of six bridges comprising the Nishiseto Expressway, connecting the islands of Honshu and Shikoku in Japan, plans for the Tatara Bridge met with public concern and outrage. Japanese citizens were already vocal about the government spending too much money on public works projects to the detriment of the environment, not to mention adding to the already large budget deficit. Hearing the public outcry, the designs were eventually changed in 1989 to a cable-stayed build which lessened the environmental impact. Tatara was completed in 1999. At what cost? What can the Tatara teach us about partnership building? Sharing a vision is one of the key conditions for any successful business partnership. How that vision manifests and gets communicated will vary from one stakeholder group to another. And, as in all great efforts, it’s important to evaluate the project from every perspective possible. This not only helps build strong, co-creation of the project, but also (hopefully) preempts and proactively manages any negative viewpoints. And, sometimes those more minor viewpoints provide insight that ultimately can strengthen the final outcome. I’m reminded of a particular partnership that was altruistic in its conception and seemed favorable on the surface to all partners, but one minor stakeholder group was not consulted – employees. Actually, it’s not common for management to solicit employee perspective on its business agreements prior to a deal being inked. Most employees, especially those in junior positions, understand this. As long as they are read into the context and understand the value of the partnership and their connection to it at the appropriate time, that usually is sufficient. In this particular partnership, the partners included a media outlet that had financial challenges and a nonprofit whose constituents benefited from the media coverage and whose management thought it could “save” the outlet with a funded series of co-created events. The nonprofit’s employees who would ultimately be producing the events were not properly read into the value of the arrangement. They felt their management had made a financially binding mistake in assuming that the events would meet or exceed projections, and that they would be held accountable. Unfortunately, the employees’ viewpoint and prediction prevailed; the events were a financial loss and the nonprofit was out additional monies due to the funding terms in the partnership agreement. Had management consulted with its producers (employees) and done more financial due diligence, a different partnership might have been constructed. Share a partnership that overlooked a stakeholder and the consequences. Life 1) in disrepair it was pulled down by the Vikings in 1014 and this is when the rhyme originated. 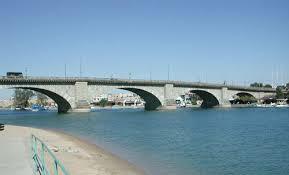 Life 2) the next version “Old London Bridge” was completed in 1209 and lasted 600 years. Life 3) in disrepair again, it was replaced in 1831 and made of granite. Alas, the soil beneath its foundation could not support the weight and usage. 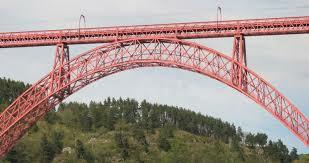 The bridge was sinking one inch every eight years. Life 4) in need of being removed and replaced yet again, the city of London sought to sell the bridge and find a way to preserve its heritage and cultural value. About 1968, the bridge was bought, dismantled, shipped and rebuilt over Lake Havasu in Arizona, U.S., by American entrepreneur/developer, Robert P. McCulloch. London Bridge was thus reincarnated and began its fourth life in 1971 in a new country over new waters. On rebuilding: What can the London Bridge teach us about business partnerships? • No longer a fit because of business evolution – before ending a partnership are there other assets that were not used originally that can be pulled in to rebuild it? • New partners emerge that cause a ripple of changes in existing partnerships – this can happen with a change in key individuals within the existing partner entities or with actual new businesses that enter a partnership agreement on either side which can create a sense of instability in the original structure. New partners and/or new key leaders give rise to fresh and innovative conversations. Time to gather all parties to rebuild alignment, understanding and to agree on plans for future growth. • Financial difficulties challenging one or both partners – this is a time for honesty and transparency. If there’s still desire to continue the partnership then compromises, investments, short term modifications, additional partners or improved processes can sometimes help in bridging over the rough waters. Share a partnership that broke and how you repaired it. Even though there was an agreement in place, made during WWII to not destroy property of cultural heritage, the 400 year old single arch Mostar Bridge, located in Bosnia-Herzegovina, was blown up in 1993 during the Bosnian conflict. The city of Mostar, once a peaceful symbol of intermingled communities of different faiths, was ripped in two during the conflict. In addition to innocent lives lost, the centuries old culture and its artifacts were also mourned as collateral damage. 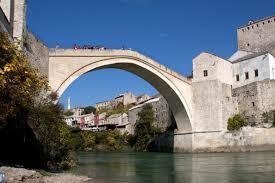 Collateral Damage: What can the Mostar Bridge (1566-1993) teach us about business partnerships? Strategy and culture are important elements to align in any partnership, acquisition or merger. Consider a partnership in which you have spent countless hours and months bringing on board; socializing the objectives and effort with the respective implementation teams that come to value each other as collegiate partners, and the customers who eventually get to benefit from the combined solution created by the partnership. Then one day, an acquisition is announced and the copacetic partner relationship you and the team had worked so hard on developing and which was showing positive results becomes suddenly irrelevant to the larger business strategy. Your superior tells you to reduce or stop your time spent on the deployment of the joint effort because it’s no longer a priority. Without a strong focus on management, maintenance and delivery of the partnered solution, employees and customers start to feel sidelined or worse—forgotten. Is this collateral damage necessary? Perhaps not. Had the acquiring company or partners taken more time to understand and value each other’s strategies and culture, they might have taken a different approach. One famous example is that of Quaker Oats which acquired the newcomer of the time, Snapple in 1994. So excited to get Snapple in all the major grocery chains, Quaker deployed a costly marketing campaign which was an epic failure. Snapple was not a hit in the big grocery market and it suffered collateral damage in its niche market of small, private, mom and pop stores that had made it so popular in the first place. Quaker underestimated the strength of Snapple’s strategy and culture. FYI: In the case of a hostile takeover, strategy and culture go out the window, and there can be devastating and costly collateral damage in the form of employee layoffs and severed customer and partner contracts. I’m not keen on experiencing this destructive strategy and hope you haven’t had to experience it either. Share a partnership lost or destroyed due to acquisition or merger. 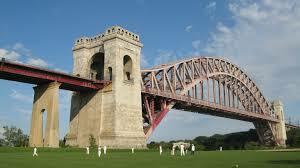 Hell Gate Bridge (1916) is New York City’s oldest of its eight bridges. It was originally named after what the Dutch sailors called the narrow and treacherous river section that the bridge connects (Astoria, Queens and Ward’s Island). The Dutch are but one interesting perspective of this bridge. Also called the East River Arch bridge, one can be inside its cement towers looking out through an arch and feel as though you’re in an enclosed room with no notion of a river below you. 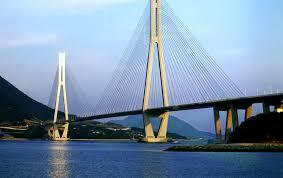 Most interesting was the perspective taken into account on the final design of the bridge. Originally conceived as a full steel bridge with crisscrossed piers, it was seen by authorities as a potentially easy escape for criminals kept in the nearby correctional facility and for patients of the Ward’s Island Psychiatric Hospital. Therefore, the final design called for cement piers and towers that would make it difficult for individuals to climb. For whom are you building the partnership? There are many lenses to look thru when considering a business partnership—your own and the partner’s, of course, plus your respective customers (external and internal), owners, shareholders, competitors and other existing partners. Keeping the objectives for the partnership in mind will help you prioritize the various perspectives that need to be considered. Weighing the value of any partnership, as with all efforts, is best summarized as time, costs and quality. The challenge is that each partner’s time, costs and quality will likely be affected and valued differently. The solution is for the trade-offs to be seen as fair to achieving the respective objectives of each partner. For example, if partners see the opportunity as revenue generating, then customers and prospects are priority lens #1. However, even if revenue is the top objective, but one partner brings technology enhancement to the agreement while the other partner contributes a strong client base, then there could be competing priority perspectives. Partnering when technology is the shared asset carries many perspectives that need to be considered, including legal rights and usage surrounding the intellectual property, engineering bandwidth to manage the technology transaction, and the end-user experience. If the objective is for broader market reach and awareness, and the traded assets in the partnership have less direct impact on revenue enhancement, such as information, data or brand recognition, then the priority of the perspectives may include potential customers and, to a much lesser degree, the internal teams that must manage and deploy the new assets. Note that not all stakeholders will be supportive of a new partnership. Presenting the business challenge with the partnership solution and distinguishing the objectives alongside the time, costs, and quality (estimated ROI), will help your stakeholders understand and hopefully support the plan. Share a partnership that required you to look thru a different and perhaps difficult lens. Appearance over function: What can the Rialto Bridge teach us about partnerships? 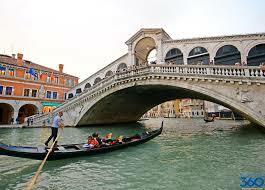 Venice’s best known bridge and its oldest, the Rialto Bridge, was completed in 1591. Not always the most architecturally admired by the experts because of its awkward style. Today it serves as an icon rising to a point over the center of the Grand Canal. Despite its funky appearance, people the world over hold a passion for the bridge whose style is not often replicated in other bridges. From a functional standpoint, the Rialto conceals a road and two rows of shops on either side of the road. If you are unfortunate to not have time to cross the Rialto, the impressive appearance from the Canal below will no doubt still satisfy the “OMG, I’m actually in Venice” validation you desire. New businesses will find this lesson most helpful. When you haven’t yet developed a respectable track record of business success or notable clients, sometimes the next best thing is to associate yourself with businesses and experts that have. These associations or partnerships serve more for early appearance sake than direct profitable function. They place you in the environment in which you wish to be doing business, and create a perception of market validation, albeit sometimes indirect. Many examples exist. Years ago, I served as a publicist for professional speakers. One of a speaker’s most important tools for attracting speaking engagements is to have authored a book relative to their subject matter. It is basically their “calling card” and serves as credibility that they’re an “expert” in their field. The book is touted in all their sales pitches, sold at the back of the room after the presentation, and is prominently featured and sold from the speaker’s website. By all appearances, the book elevates the speaker to the professional level that they anticipate will result in achieving their speaking fee and desired publicity. Meanwhile, what’s the appearance of a new speaker if he/she hasn’t published a book? They’re an amateur. In all cases, it is mandatory that the new business use its affiliation responsibly and with integrity, referencing its association with experts and partners in the desired manner agreed upon and to audiences that benefit all parties. What appearances of success have you found useful? Game-changing ingredient: the Iron Bridge and transformational partnerships? 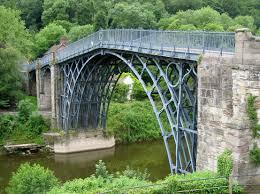 What can the Iron Bridge, UK, teach us about transformational partnerships? Completed in 1779, the Iron Bridge at Coalbrookdale in Shropshire, England was the first major structure made entirely from cast iron. Stronger than wood and more flexible than stone, its enduring strength to survive flooding and centuries of use has earned it the reputation as an important symbol of the dawn of the Industrial Revolution. From the first flood it weathered, the Severn River flood of 1795, the Iron Bridge was quickly acknowledged by engineers for its innovation which ushered in further iron structures. Cast iron and the steam engine are generally cited as two of the most important innovations that connected economy, technology and social developments in a way that had never been done before. Game-changing ingredient: What can the Iron Bridge teach us about transformational partnerships? If you think about what makes a long lasting successful partnership, be it personal or B2B, the key ingredient is the same. Both parties must first like each other and have complementary interests and vision. Even if it’s a B2B arrangement, the CEOs, managers and operating staff need to feel synergy about their shared objectives and each other. The adage that “people do business with people they like” always holds true and is the basis for endurance. Where two parties have formed a business arrangement and there is even mild dislike, the relationship will not withstand the challenges and conflict that will naturally occur over time. In this case, dislike manifests as distrust. And, no business or partnership survives in a distrustful environment. It becomes a cancer that eats away through all levels of the partnering organizations, poisoning relationships between employees and management and company to company. When the right kind of likeability gets established, the synergy between two partners can result in transformational innovation. For example, think about Bill Hewlett and Dave Packard or Steve Jobs and Steve Wozniak. Today, one of the strongest new models for partnership is Salesforce’s connected partner ecosystem. Not only does Salesforce win when its partners succeed, but it also fosters partners to partner with each other, forming even tighter bonds and brand loyalty back to Salesforce. This ecosystem and network of partners has been transformational in creating a dynamic market for cloud based solutions and accelerating the information technology era toward our next “revolution” – data analytics. Was synergy and likeability sought as first ingredients between Salesforce and its hundreds of partners? If you’ve ever been to its annual Dreamforce conference which attracts 40k+ people, you’d know the answer is a whopping “yes”! Share a secret ingredient from one of your successful partnerships. 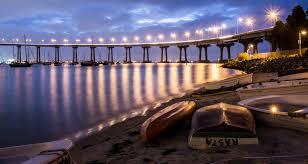 Making accommodations: What can the Coronado Bridge teach us? San Diego, CA is the home of one of the largest U.S. Naval bases with 13 piers stretched over 977 acres of land and 326 acres of water. As a primary port for the Asia/Pacific region, the Navy has always had a very strong voice in public projects in San Diego that might impact the nation’s ability to defend and protect from outside attack. 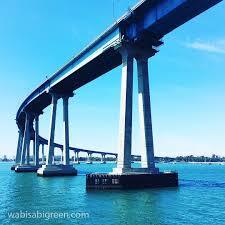 The approval for construction of the Coronado Bridge that connects San Diego to Coronado Island was under fierce debate between the Navy, policy makers and public for more than 40 years before it was finally supported in 1964 and completed in 1969. Initially, the obstacle was the U.S. Navy’s concern that in the event of an earthquake or enemy attack, the possible collapse of the bridge would cut off the Navy’s ability to leave San Diego Bay to do its work. By the 1950s, the Navy came around in its thinking and supported the bridge, but wanted accommodations made in the height to allow 200 feet of clearance for ships operating out of the Naval base. To achieve this clearance and avoid a steep grade, the bridge length was increased by taking a curved path, rather than a direct linear one to Coronado. By completion in August 1969, the bridge was 11,179-foot-long (3,407 m or 2.1 mi) with a 4.67 percent grade before curving 80 degrees toward San Diego from Coronado. Of all the bridges, this story perhaps most closely resembles the true nature of developing a business partnership–seldom a straight line; usually taking several twists and turns. It represents more than a compromise, which does often happen when coming to an agreement in a new relationship. Instead, it’s an accommodation made by the more advantaged partner (usually at some cost), in order to sweeten the arrangement for the other to agree. I recall one specific partnership in which I had to broaden the targeted audience beyond my enterprise’s core constituency in order to support the interests and participation of the target partner. This meant developing a tangential business relationship to gain market distribution to the new audience. And, as you might imagine, there was an accommodation required by the tangential partner before acquiescing, which included a discounted price point. With agreements in place, a customized marketing communications plan was developed and executed, along with agreed upon metrics to track results for ROI reporting back to the initial partner. The results the first year were less than stellar, but the continued growth of the audience in the long term was seen as an added value to my enterprise’s overall objectives. I’ve always had a fascination with bridges and have just recently discovered how instructive they can be about what it takes to develop long lasting and strong business relationships. Not only are the analogies with bridges seemingly endless, but they also conjure creativity, passages and adventure. Thank you for joining me in this adventure into what bridges can teach us about constructing solid, profitable, enduring business relationships. What is a bridge? In its physical form, it’s a path to get from point A to point B, and is typically constructed to solve for an obstacle (water way, ravine, busy highway, unstable ground) that otherwise was obstructing the direct path. It provides efficiency and safe passage. The nonphysical bridge between two parties operates much the same way, except that there are typically multiple obstacles and the path is anything but linear. 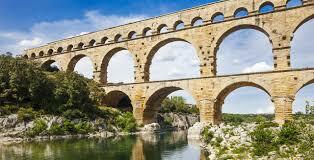 For simplicity and more interesting history, this series will focus on physical bridges. Now for a couple more foundational notes: Analogies and metaphors from the stories of famous international bridges will be made to inform on a variety of types of business development in this series. With more than 20 years experience in developing business for all manner of value in an organization (revenue, distribution, attribution, sponsorship, shared customer engagement, community building, etc. ), I will generally refer to the activities as business partnerships. Dupre?, Judith. Bridges. New York: Black Dog & Leventhal, 1997. Print. Images not credited are in the public domain.